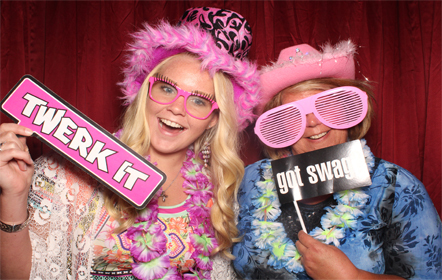 Our "Dancing on the Clouds" effect looks Great at Bella Amore on Enchanted Acres! 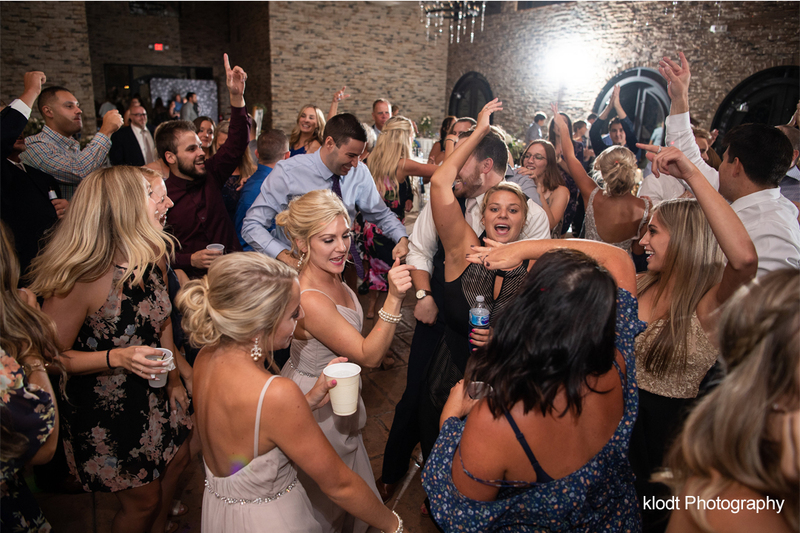 Have your dream wedding ceremony and reception at Bella Amore on Enchanted Acres and have the best experience one could ever imagine! 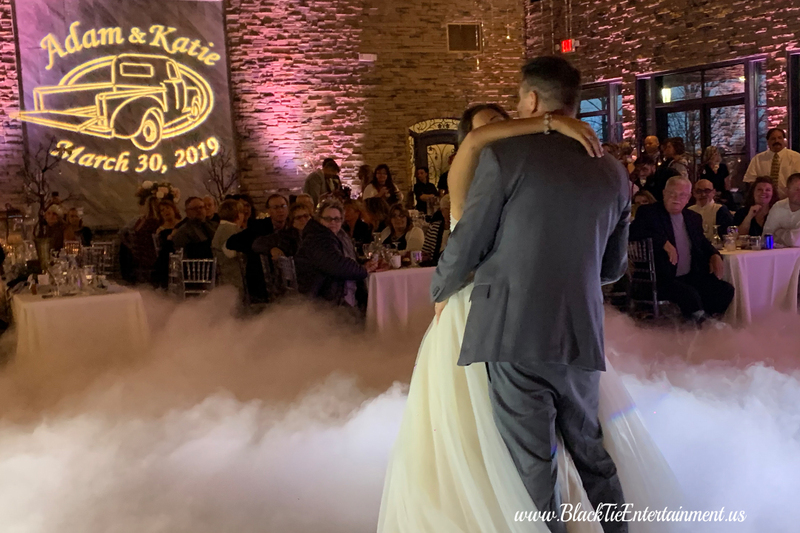 Ryan and Celeste own Bella Amore on Enchanted Acres and they go WAY beyond what you would ever expect to make your wedding dream come true. 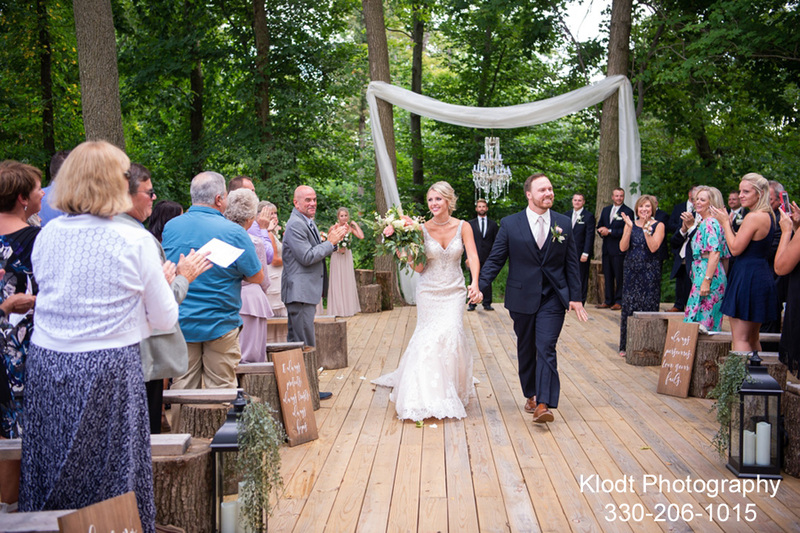 Black Tie Entertainment can set up a system and play music for your wedding ceremony as you get married in the woods……literally! 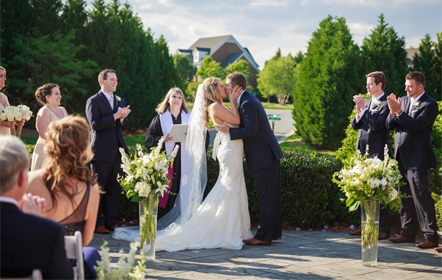 Breathtaking views and the sound of nature make this one of the top places on earth to get married. 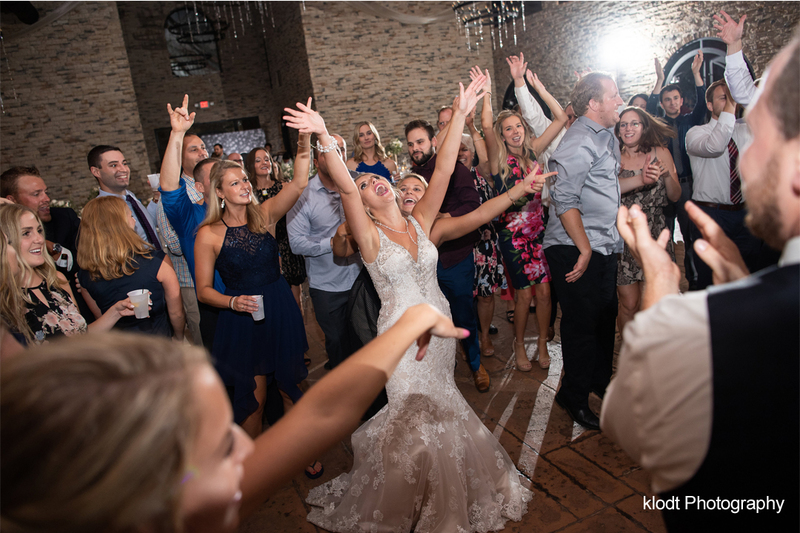 Inside the venue is a photographer’s dream and one your guests will never forget. 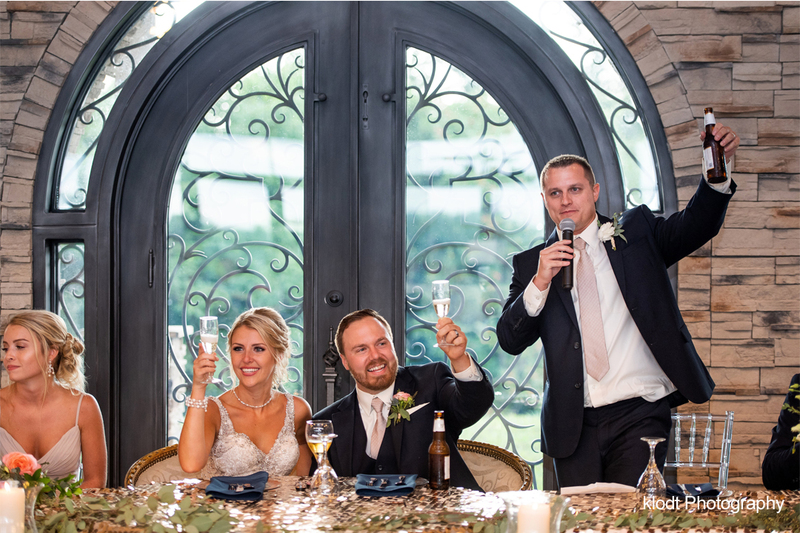 Bella Amore features stone archways and columns over wooden doors. Wrought-iron balconies and light fixtures. 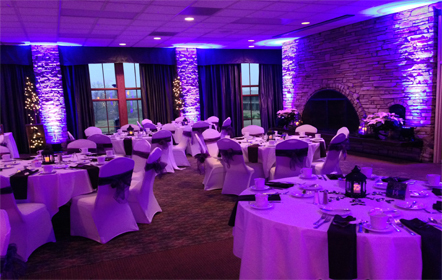 Bella Amore sits on 85 acres and the Sunset Views are Amazing! 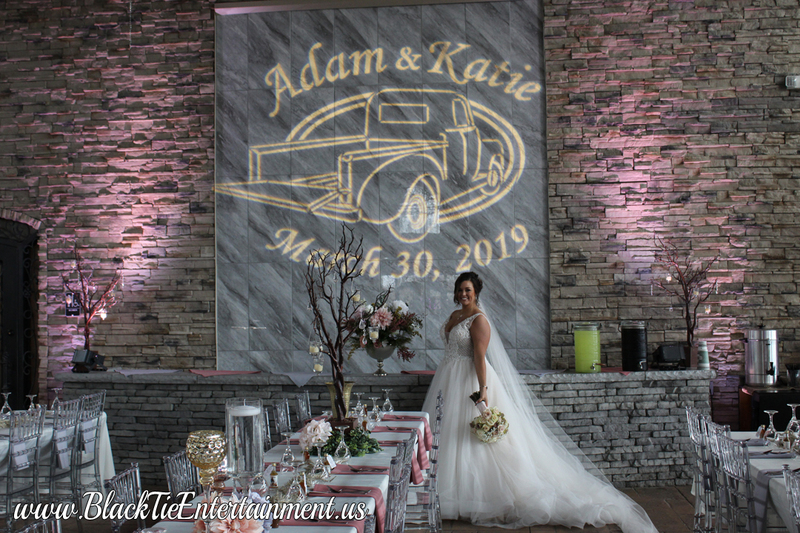 Have your dream wedding at Bella Amore on Enchanted Acres! 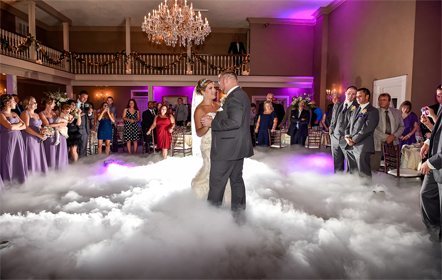 Nothing says “I’m on top of the world” like dancing on the clouds Dry-Ice effect for your first dance at Bella Amore. 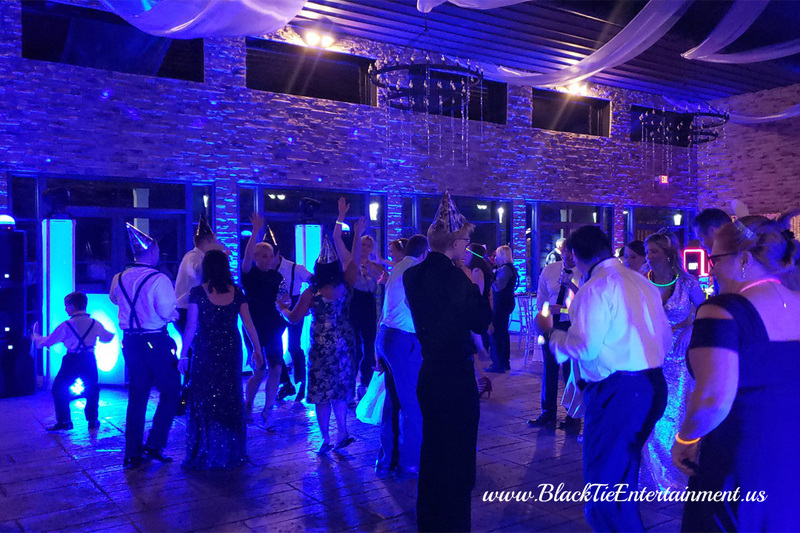 Ask Black Tie Entertainment for Bella Amore on Enchanted Acres $1549 special. 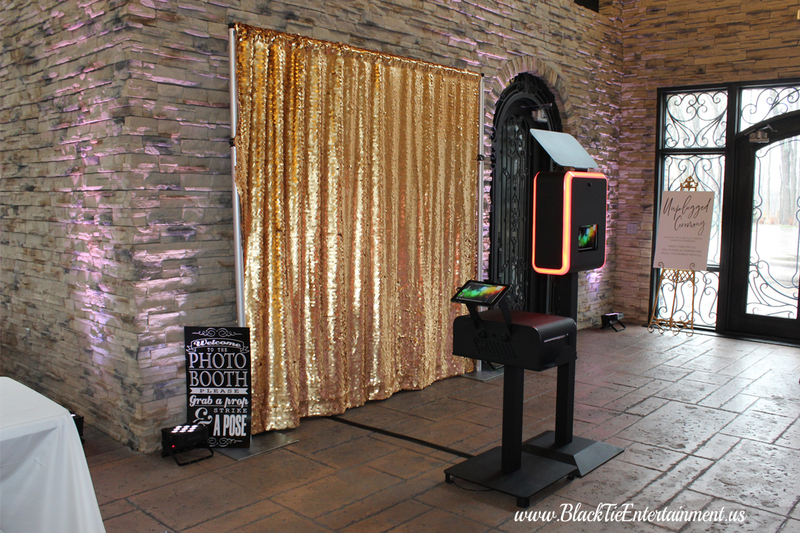 For just $1549 Black Tie Entertainment will set up a sound system and play music for your ceremony outside, put your "Name in Lights" on the wall with water flowing over it, set up 30 up-lights around the room like the pictures on this page, provide one of the area's best wedding DJ / MC, provide the dance floor lighting, and include “Dancing on the Clouds” for your first dance like the pictures and videos shown below (add the photo booth like the pictures below for $600). 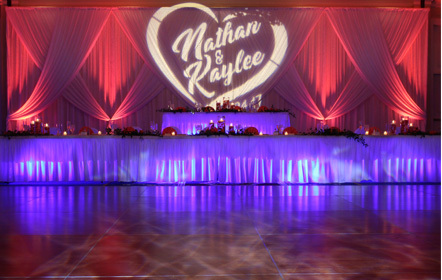 Dancing on the Clouds first dance effect. 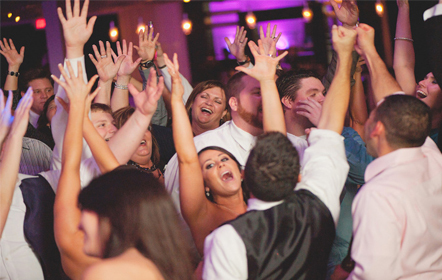 We can play music for your ceremony outside. 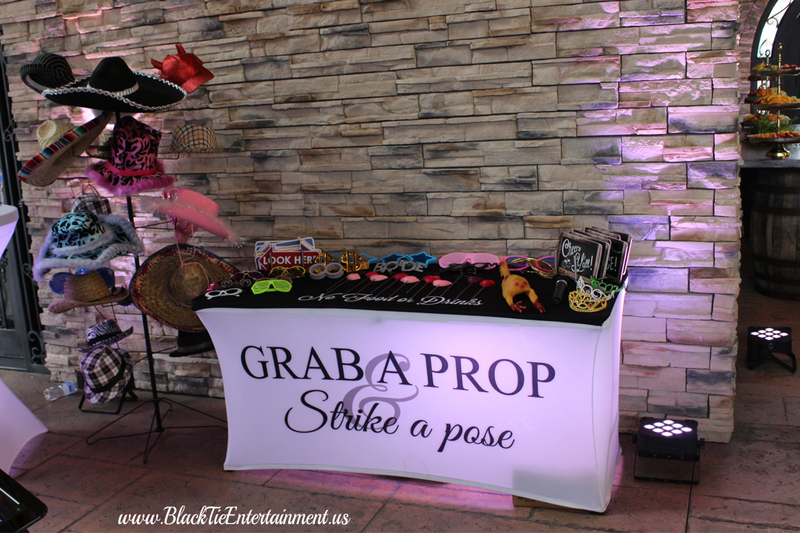 Our open air style Photo Booth.